POLL: Should the Goat Cheese Cheesecake make an early comeback? So in what I hope will be the first of many to come, I am conducting a poll. And for this inaugural survey, I am tackling one of the most pressing issues facing DessertTruck right now: should we bring the Goat Cheese Cheesecake back to the truck and store? 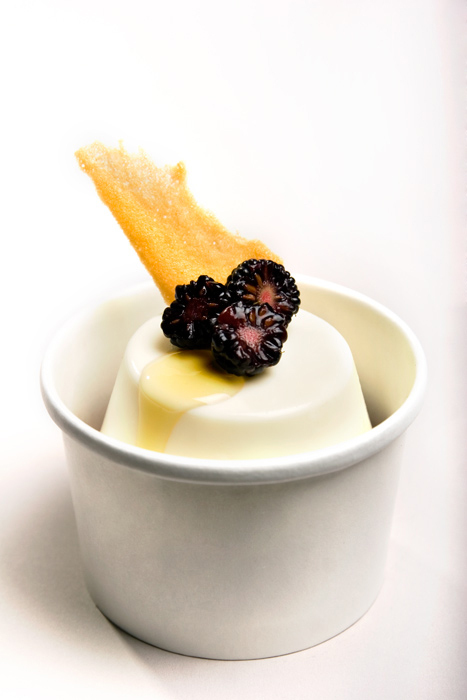 Since we sent this slightly tart and panna cotta-like dessert into hibernation about one month ago, we’ve been getting complaints about its absence every single day. I wouldn’t quite call it a barrage of unhappiness, since it’s limited to about 2-4 people per day, but the whimpering is persistent enough to merit this poll. Please also take into consideration that the dessert came with rosemary caramel and fresh cut berries from the Union Square Greenmarket. If enough people vote the Goat Cheesecake back into existence (simple majority), the berries will be substituted with a minimally-prepped fall fruit TBD. You’ll find the poll at the bottom of this blog. Submit your vote by 12:01 am on Mon, Nov 8th. ← Special Order Thanksgiving Desserts! Bring back the goat cheese cheesecake. Who doesn’t always want goat cheese? I know I’m not the only one! You’re right. Looks like goat cheesecake is making the early comeback. We’ll post the final results Monday! The goat cheesecake is the most interesting thing on the menu right now. Anyone can make a chocolate dessert – it’s items like the goat cheesecake with a funky rosemary caramel twist that elevates this store to greatness. Also, if you could bring back the lavender panna cotta that would be wonderful as well 🙂 That was my favorite dessert of all!